Virtual reality still sounds like something we would only experience in Sci-Fi movies or way out in the future. But as you might know, the future is already there – and so is Virtual Reality. Virtual reality can be described as a computer-simulated environment that mimics physical presence in a real world. To experience the VR world, a user needs a stereoscopic Head Mounted Display (HMD). Currently, the most advanced HMD on the market is Oculus Rift. However, Oculus Rift isn't the only device that can immerse you in virtual worlds. There are other more affordable options as well, such as Google Cardboard, Samsung’s Gear VR, and Zeiss’s VR One. All these devices use your iPhone or Android smartphone to display virtual videos. Since mobile is our field of expertise, we can’t help but share our thoughts on how you can apply virtual reality technology to app development. How can Virtual Reality be used in an app? There are at least four industries that have already adopted virtual reality technology. Real estate developer Panoptic Group went into co-operation with Arch Virtual last year to make VR tours in 3D as a new way of showing real estate properties to clients. According to Panoptic Group, virtual reality is helping them sell properties much faster because people can get a feel for the inside of a home as well as its grounds without even visiting in person. Panoptic Group uses Oculus Rift, which connects to a compatible PC, but it is not compatible with mobile devices. They haven’t turned their technology into a mobile app yet. Similar to Arch Virtual, Start VR is another company that produces both 360-degree videos and photo-realistic 3D worlds for their clients. Their projects range from real estate tours to mindful entertainment apps. Start VR has made an app for the Australian EDGE 28 residential developer. If clients have a smartphone and a VR headset they can check out properties in 3D before they even step foot in the firm’s office! The Ascape virtual reality app is a great example of VR for the travel industry. Developed by Yalantis for one of our clients, Ascape lets viewers go on virtual reality tours of some of the biggest cities around the world. Hint: You can even check out monuments of Pyongyang! Perhaps you weren’t planning to visit North Korea … but apps like Ascape can help you figure out where you want to go on your next vacation, and can help you plan out your sightseeing in advance. All this can be achieved with just your smartphone and a VR headset - as simple as Cardboard! For now, the app is only available for Android, but it will soon be released for IOS as well. 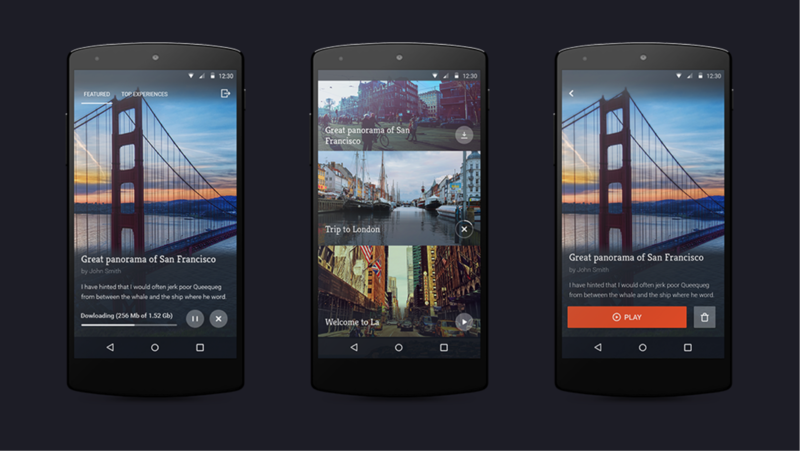 Check out how we designed the Ascape app here. 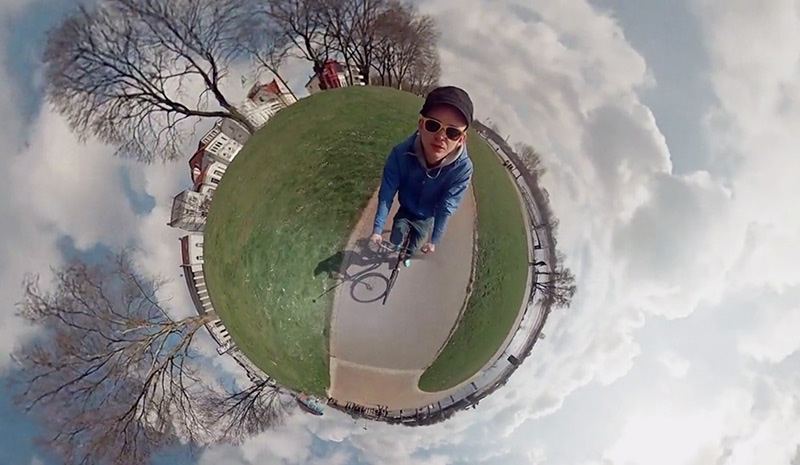 Ascape buys virtual reality 360 degree videos from private content producers. The automotive industry has already adopted virtual reality. Companies like Ford and Audi have created 3D experiences that let customers check out different models of cars and customize them even before seeing the car in real life. This is handy because it can lead to faster decision-making on the part of customers, and lets the manufacturer show new car models even before the prototype is made. While Ford and Audi are using the Oculus Rift to power their virtual reality programs, Volvo has actually released a virtual reality app that makes it possible for customers to test drive the Volvo XC90 from the comfort of their sofa. The Volvo XC90 test drive features 360-degree video footage with a 3D animation of the interior of the car. A well-known fact about education is that students remember and understand educational material better if they experience it instead of reading about it. That is why field trips are a high priority at most schools. Now, virtual reality can actually make it possible to go on field trips right from the classroom. VR might not be quite as fun as a day at the zoo, but it can certainly be used more frequently and with fewer permission slips and frazzled parent chaperones. Vessels VR is producing a great VR educational experience for elementary school students: about the body’s circulatory system, using Oculus Rift. Since you can’t actually capture a 3D video inside the human body, Vessels VR had to go with a 3D animation. To do this, they will use both models of the Oculus Rift development kit, and will assemble it all in Unity 3D. You can check out their project on Kickstarter. EON Reality offers a library of educational virtual reality experiences in 3D – as apps. They offer virtual reality app development for educational projects. Even though virtual reality has already made its way to mobile apps, there is still no killer app that can truly immerse masses of people into the world of science fiction. Virtual reality technology is still in the early stages, but it’s rapidly developing. If you start developing your app now, in a couple of years it might grow into something we can’t even imagine yet! Let’s take a look at how you can get started. Of the two possibilities for creating VR content, taking a 360-degree video is the cheaper solution since your only expenses are the camera and possible editing costs. 360-degree videos are useful if you want to capture a video footage of an event from the real world. This could be a concert or the Nobel Prize Award Ceremony. To shoot 360-degree video, first you’ll need a 360-degree spherical camera. The best known options are 360Heroes or RICOH THETA. Other products will most likely be available soon. When choosing a camera, the most important thing is to make sure that you can capture the highest possible quality of video. When filming, it is important to maintain the camera in a still position. If the camera moves around, it must maintain even movements, since otherwise it will cause motion sickness for the user. The equipment you are using is going to be visible in the footage. If you want, you can edit the video afterwards to hide it. Since virtual reality is a new product, there are not so many tools for editing videos, but just like with any other equipment, it is only a matter of time before more virtual reality products will be available. If you want to show something that you can’t capture in the real world, however, you’ll have to make a 3D animation of it. 3D animations offer the advantage of letting viewers freely look about the space they are placed in. With a 360-degree video, viewers are fixed at the same place all the time, and they are only able to look around by pivoting on the spot. But with 3D animations, viewers can actually click on buttons that can move them around within the virtual world – in the best Google street view style. With 3D animations, viewers can also lean forward and get a closer look at things just as they would in real life. An easy solution for a 3D model is to purchase the Structure Sensor. The Structure Sensor is a camera you can affix to a tablet. It works as a 3D scanner that captures anything in the real world, and instantly creates 3D models of it. This can be rooms, furniture or even people. The Structure Sensor works with any tablet but best with an iPad. Another possibility is to make a 3D VR experience through game engines like Unity or Unreal Engine. These are primarily used for game development, but can also be used for interior designs or any other 3D construction. Both Unity and Unreal Engine have plenty of tutorials on their sites to make it easy for developers to use the technology. If you are interested in using Unity technology for virtual reality apps, you can check out this tutorial for how to make a Google Cardboard virtual reality app. However, you don’t necessarily have to do all the hard work yourself. There are already companies out there who are ready to make the content for you. The only question here is: how much does it cost to design virtual reality content? You can keep an eye on Matterport, a company that reconstructs real-world spaces in 3D, such as the interior of a building. They will soon be releasing a virtual reality showcase that shows 3D constructions through the newly-released Samsung Gear VR. Matterport delivers 3D models for real estate, hotels, the construction industry, retail, insurance and public venues. To create a 3D environment, all you have to do is scan a location with the Matterport camera and send it to Matterport through their Cloud. Getting a 3D model from Matterport will acquire a Matterport camera ($4500), and an access to the Matterport Cloud (starting at $49/month). Since virtual reality technology is developing so rapidly, we expect more companies like Matterport to provide similar services in the near future. The virtual reality experience has yet to be perfected. The technology is still in its early stages. Low resolutions, latency and the “screen door effect”, which is the visibility of the lines separating pixels in a screen, are among the most common issues that break the illusion of being physically in another place. However, the growing interest in this technology suggests that these problems will soon be solved. Virtual reality is already so fascinating, and we can anticipate that a mass use case for virtual reality will soon be invented. When that happens, it will be impossible to imagine our life without virtual reality!